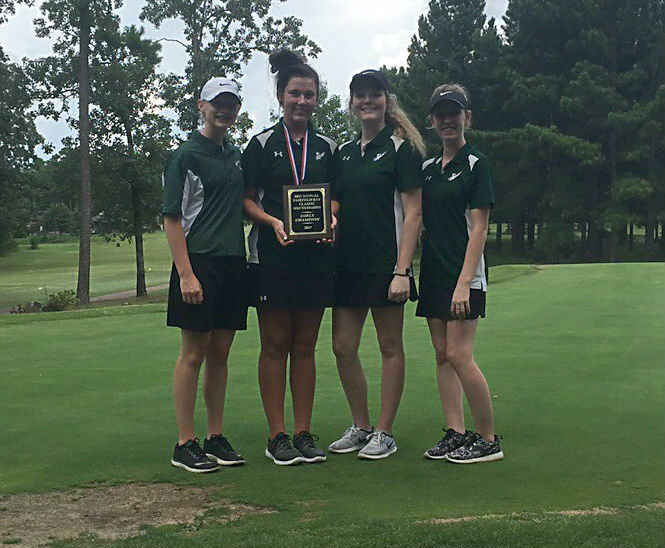 The West Side Girls Golf Team won the 3rd annual Fairfield Bay Golf Classic today, its second title in the event. Members of the team are (from left) Haley Gentry, Kaylynn Finch, Emily Akers, and Bristen Miller. Finch was the girls medalist for the tournament. The first round was played Monday at Mountain Ranch Golf Course. The event concluded at Tannenbaum Golf Course.